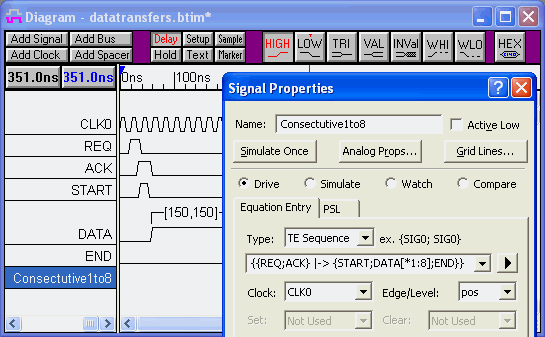 SynaptiCAD's new Transaction Tracker is a PSL/Sugar-based verification tool for viewing simulation data as higher-level transactions, instead of as simple waveforms. 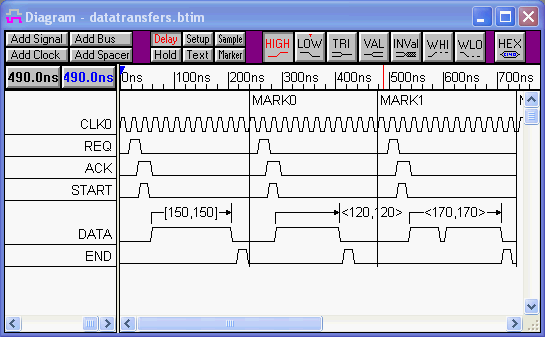 Users specify transaction patterns (temporal assertions) to match against using the PSL Sugar language, and Transaction Tracker displays matches and partial matches of these patterns graphically as "transaction records". This tool also provides a powerful interface for learning the syntax of the PSL language. Several simulators have been released that support PSL assertions, but one of the problems is that users have to learn another language before they become effective with using the tool. With Transaction Tracker, the results are graphical and instantaneous, so users can build up complicated equations by typing in a few terms and seeing the results and then continually adding on until the code matches to the correct transaction pattern. 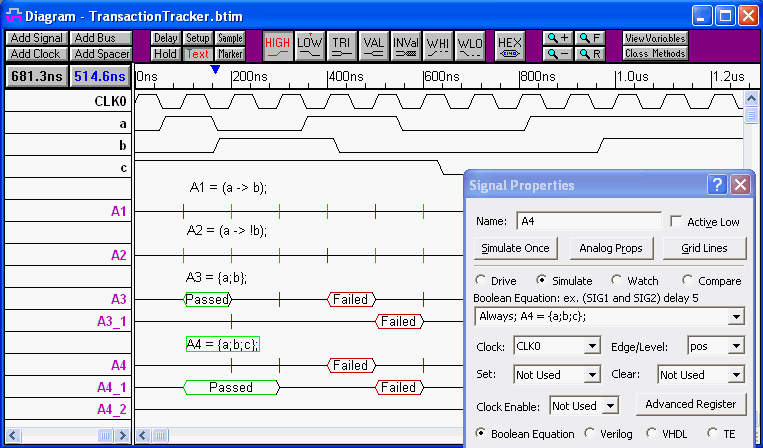 Transaction Tracker can be purchased as a stand-alone version or as an add-on to one of SynaptiCAD's timing diagram editors or simulator products. 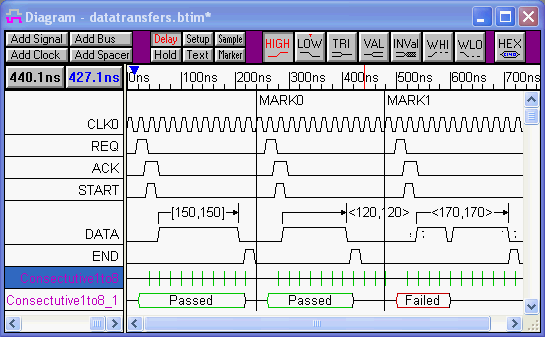 Transaction Tracker can read VHDL and Verilog simulation results, Agilent and Tektronix file formats, plus BTIM files (SynaptiCAD's 200x-compressed binary format). SynaptiCAD's gigawave feature is included with Transaction Tracker stand-alone, allowing gigabyte-size files to be loaded into the tool.